Crafty Kazza's Cardmaking: Julie is having a baby! Julie is having a baby! Hi there, another quick post for you. 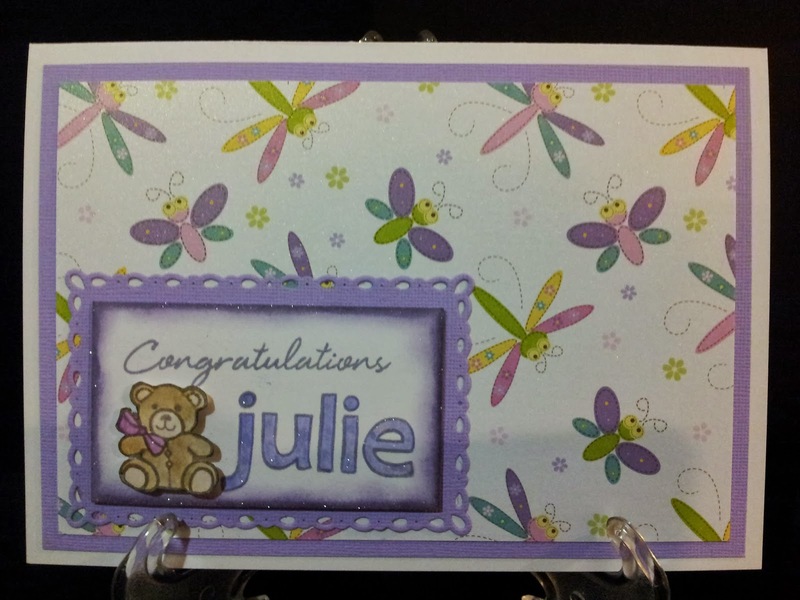 I've just finished making a card for a lady called Julie who works in our Brisbane office branch and is soon to be a mum for the first time! She's going on maternity leave soon so we needed a card to farewell her, I hope she likes it! I thought I should do a close up so you can see the sparkly wink of stella in clear - I love that stuff! Well, it's late (12.01am) and I have work tomorrow, so I'd better choof off to bed! I love it and the wink of stella, lol, funny name! Thanks Marcelle, we are all going to fall in love with that funny name! Karen this is darling. I love the sparkle wink. well done. she will love it. 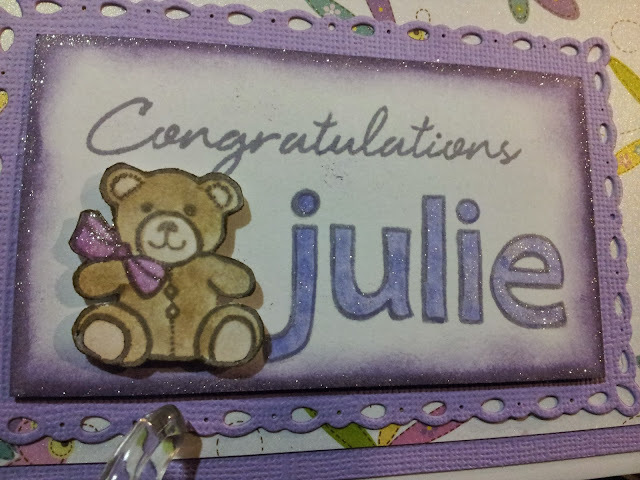 by the way my daughter is named Julie. She's a grandmother now. Looks like you keep late hrs like me. Thank you Patti and does that mean you're a great grandma? You're too young for that! I want to thank you for your wonderful compliments on my tags. appreciate it very much. going to add your to my list of favorites I don't have a sign in block. how do you do that? Your tags were wonderful, and deserved all the lovely comments you received :o) I think you can get rid of the 'proove you're not a robot' block thing in the dashboard (click Design on the top right of your blog screen) and then choose Settings, Posts and comments and play around in there. 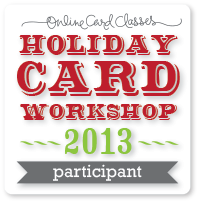 Thank you for taking time out to check out my blog and for adding it to your faves :o) Happy crafting!